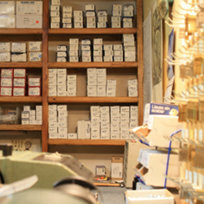 I carry a small inventory of the lock & key supplies that my customers require most often. This is sufficient to handle many of the jobs that I encounter. If you need something that I don't have in stock, I can often pick it up from one of my local wholesale suppliers the same day. Or, for less common items, I can place a special order.